Our mother nature has taken care of most of our woes by providing unbelievable solutions to almost all physical problems. The magical mineral called magnetite is stored in nature in synchronisation ormus minerals. Magnetite is magnetic and has a powerful positive-negative polarity that has been proved. The Magnetite provides the healing necessary for recovery. The subtle energy field that these unique minerals possess is very amazing to say the least! 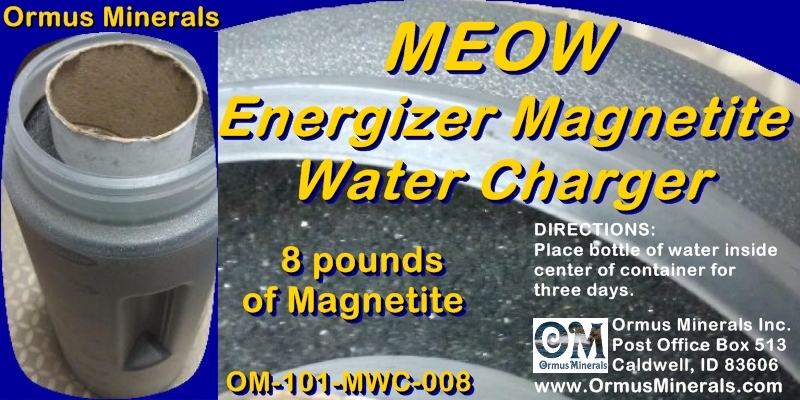 These effects are also one very few to explain the magnificent effect of magnetite water. Magnetite water has numerous ways for consumption. Direct consumption from sprigs proved to be the best way to enjoy the benefits of magnetite water. The charged particles of this water aggravates hat ever you intake during this consumption that is why supplements and drug consumption during this period must be avoided. If with magnetite water the consumption of calcium as well magnesium is increased it proves to be better for health. 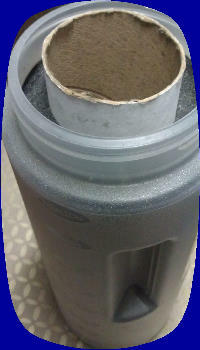 Search our Web site for more information on Magnetite Water. The research on these wonderful effects of magnetite is still under full swing and needs full attention as day after day lots more beneficial effects are getting unfolded. The ratio of intake of ormus with magnetite is taken as low as 50/50 but one has to change the ratio and see what works best for them. The cost of the raw material is still low and once the full analytical review comes before the public soon it will take a huge leap. So, if you have problems regarding the above mentioned do try magnetite water and it may prove excellent for you. These chargers are designed to charge your water and effect the water structure to help your body absorb the water. The Magnetite will release the Ormus in the water. These chargers will hold 1 bottle of 23.7 oz of water each. When drinking spring water that is charged with the magnetite we have found it beneficial to increase your calcium/magnesium intake.We have noticed spring or well water takes a charge the very best. Distilled or Reverse Osmosis or tap water does not seem to be as effective. Some of the things you can add that help in the Ormus Water Charging process is. (6) units will give you the ability to charge 6 bottles at a time so you can then drink 2 bottles a day of Charged Water or share with someone one you care for each day.